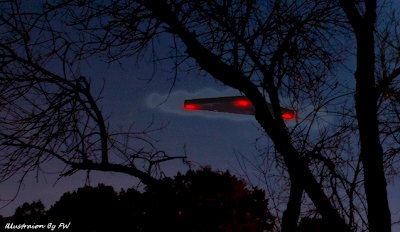 A retired Ministry of Defence (MoD) official and WW2 RAF navigator has spoken about the time he was left puzzled by an array lights coming from what he claims was a UFO hovering over Borehamwood. The witness, whose name cannot be disclosed, was visiting friends in Cowley Hill at around 9pm on Friday May 24, 1985, when a triangular set of lights appeared overhead. His report to the MoD, now declassified and stored in the National Archives, recounts what he saw in great detail – and he could offer no explanation despite decades spent professionally tracking the night sky. UK: UFO Taped Over Huddersfield!